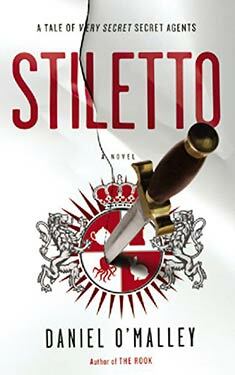 If you liked Stiletto you might like these books. In this spirited sequel to the acclaimed The Rook, Myfanwy Thomas returns to clinch an alliance between deadly rivals and avert epic -- and slimy -- supernatural war. The Grafters---a centuries-old supernatural threat. But as bizarre attacks sweep London, threatening to sabotage negotiations, old hatreds flare. Surrounded by spies, only the Rook and two women who absolutely hate each other, can seek out the culprits before they trigger a devastating otherworldly war.